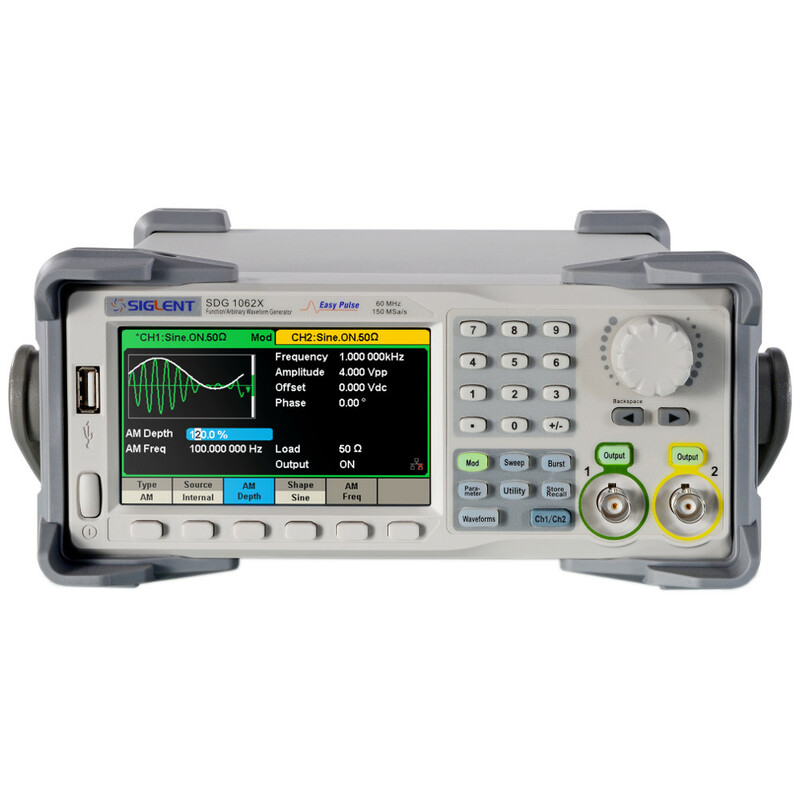 SIGLENT’s SDG1062X is a dual-channel function/arbitrary waveform generator with specifications that include up to 60 MHz maximum bandwidth, 150 MSa/s sampling rate and 14-bit vertical resolution. 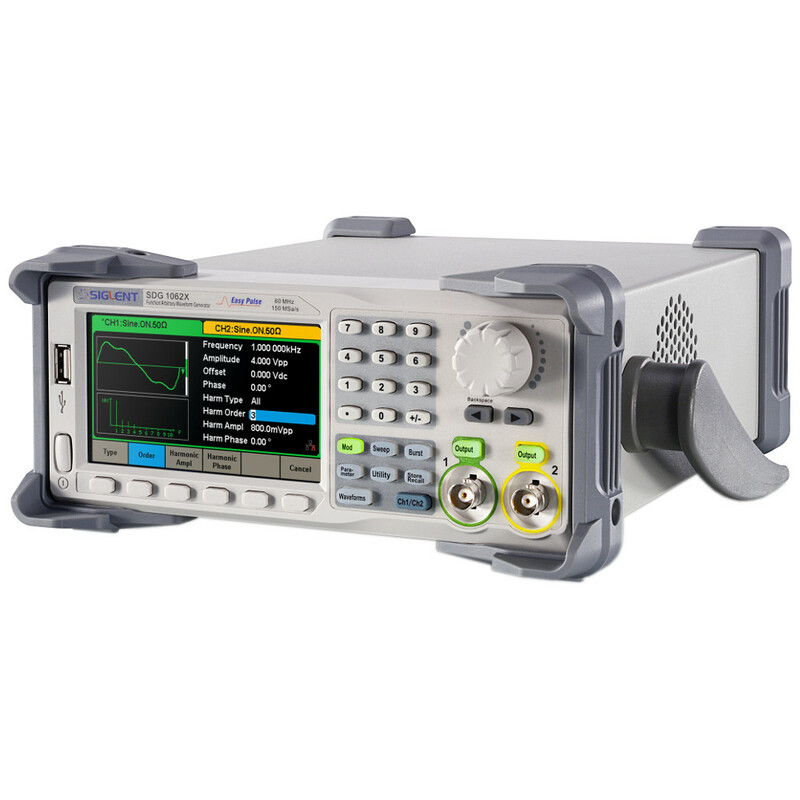 The proprietary EasyPulse technique helps to solve the weaknesses inherent in traditional DDS generators when generating pulse waveforms, and the special square generator is capable of generating square waveforms up to 60 MHz in frequency with low jitter. With these advantages, the SDG1062X can provide users with a variety of high fidelity / low jitter signals while meeting the growing requirements of a wide range of complex and varied applications.